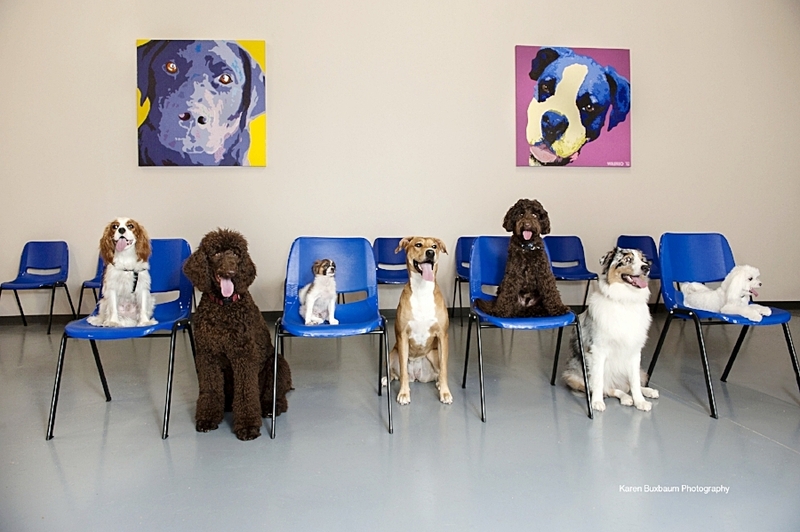 Dream Dogs Professional Training — Drop-In Classes that work with your schedule. All drop-in programs take place at Dream Dogs Indio. Your dog needs to wear a flat collar or harness with a nylon leash. For the safety of all participants (human and canine), we do not allow flexi-leads or prong collars. All dogs must be current on vaccines. Please bring proof of current vaccinations to your first drop-in. From basic to advanced, we work on a variety of behaviors, including sit, sit/stay, down, down/stay, loose-leash walking, greeting guests at your door, good house manners, boundaries, and recall (“come”). We can also tackle distractions at a higher level with duration and distance work, as well as support you in building and keeping your dog’s attention. Most ages and breeds welcome; puppies should be at least four months old or attend our puppy social drop-in instead. If your pooch is friendly with strangers and other dogs, come join us for an interactive off-leash social play group. You and your pup will work on building and maintaining your communication and obedience skills. Enjoy learning and watching your dog play in a safe indoor controlled environment. You'll want to wear your tennis shoes to this class! For the safety of all participants (human and canine), we cannot accept aggressive or leash-reactive dogs at our dog romps; this class if for social dogs only. We do not work on behavioral problems. We suggest you book a board and train package or a private session with us to address these problems. All puppies must be healthy and current on their first two vaccines. Please bring proof of vaccination to your first class.